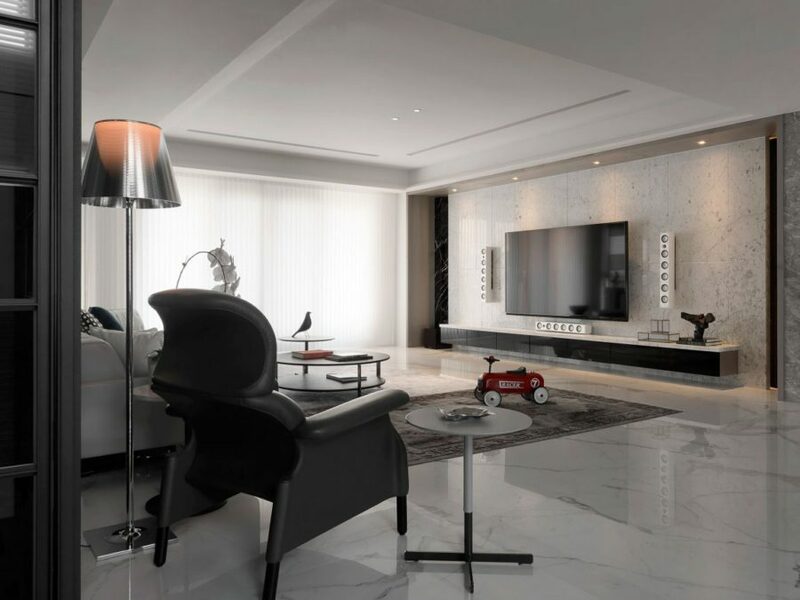 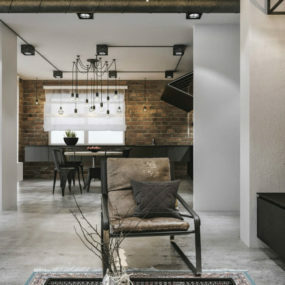 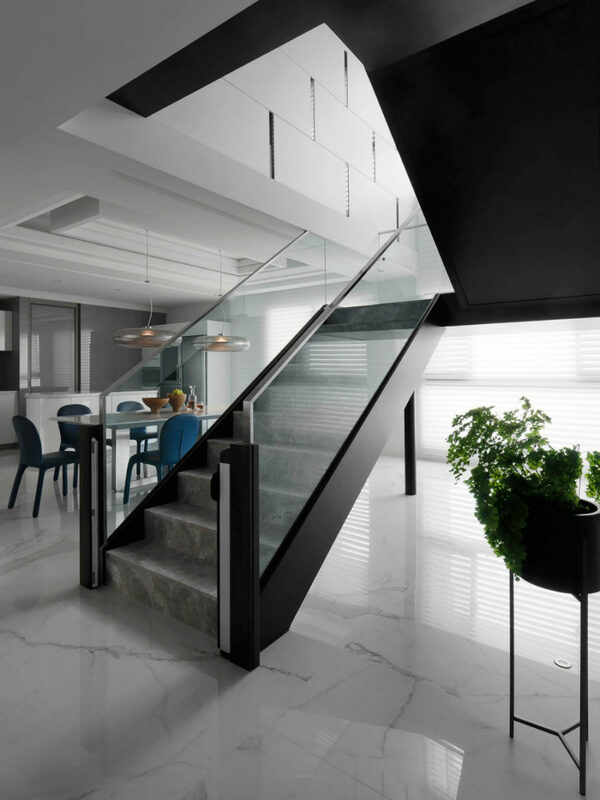 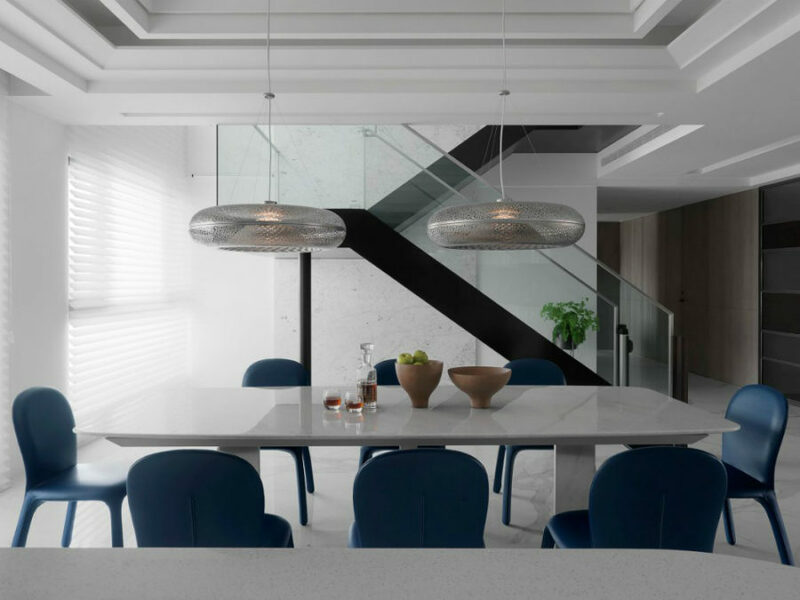 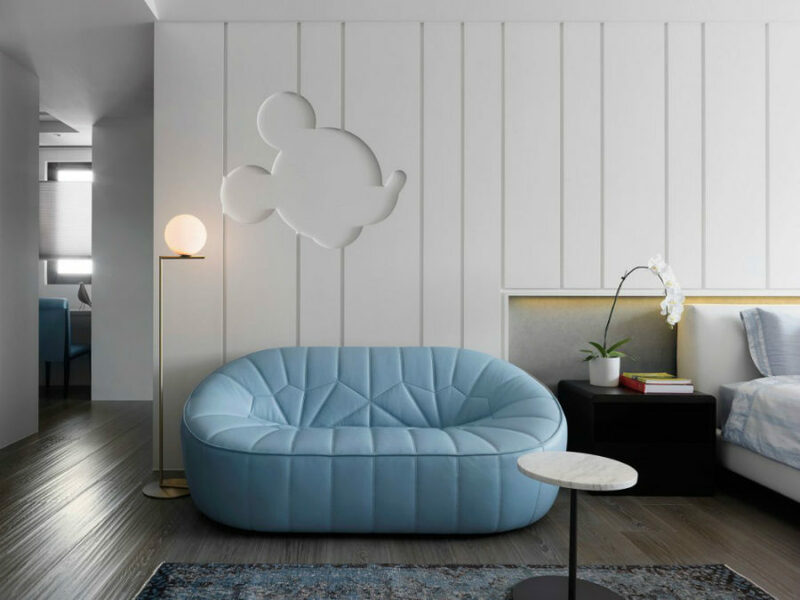 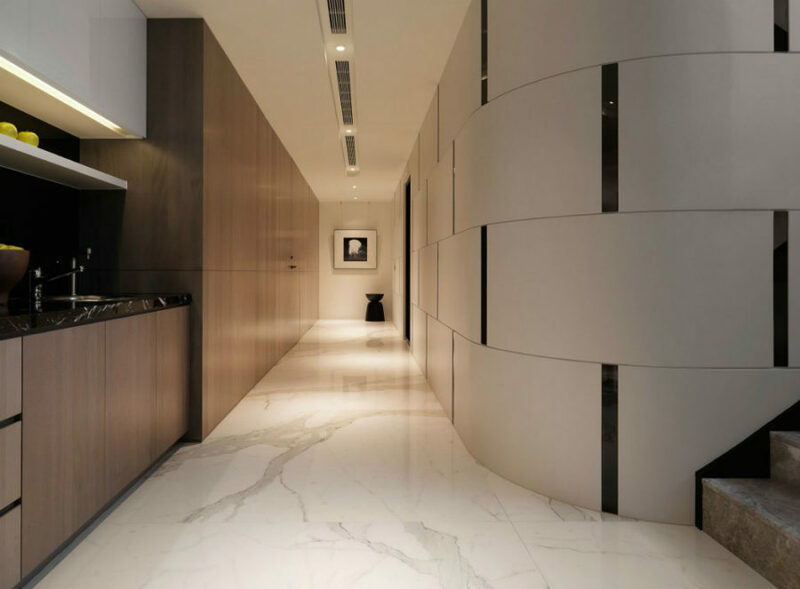 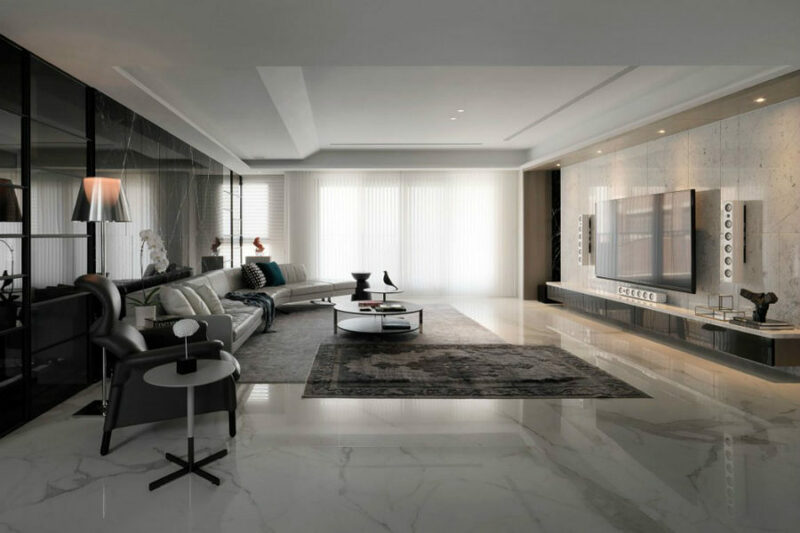 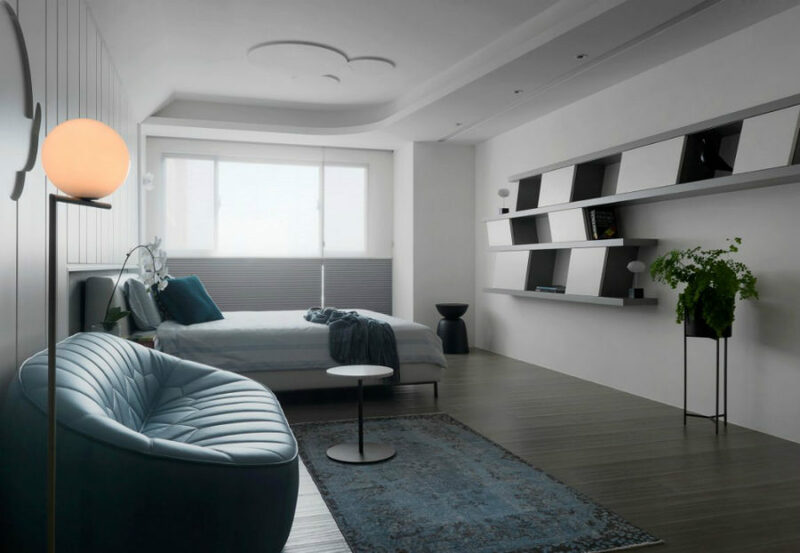 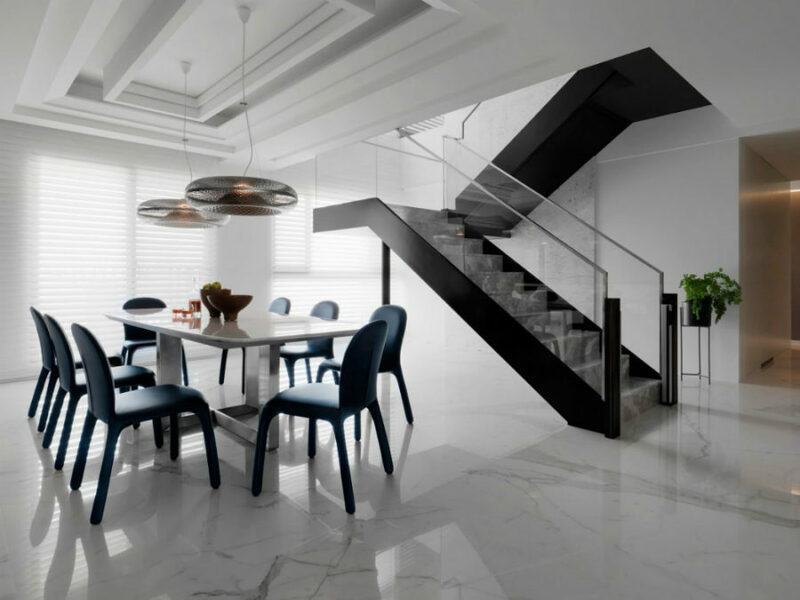 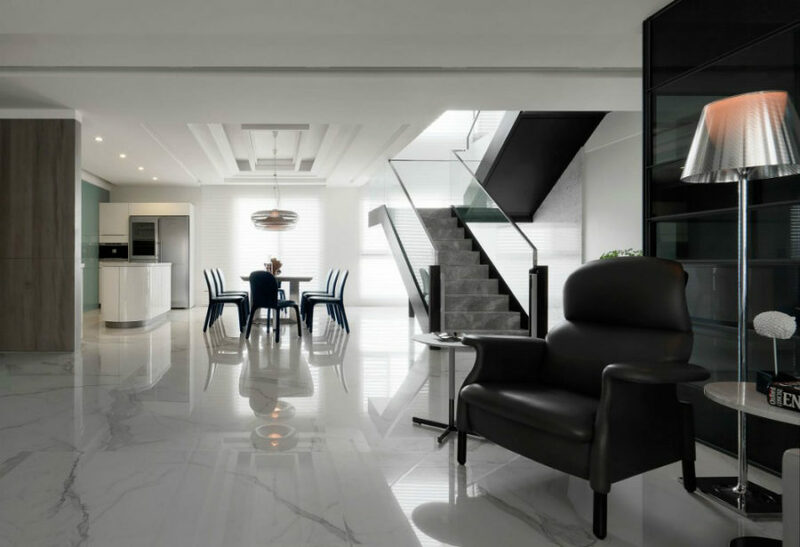 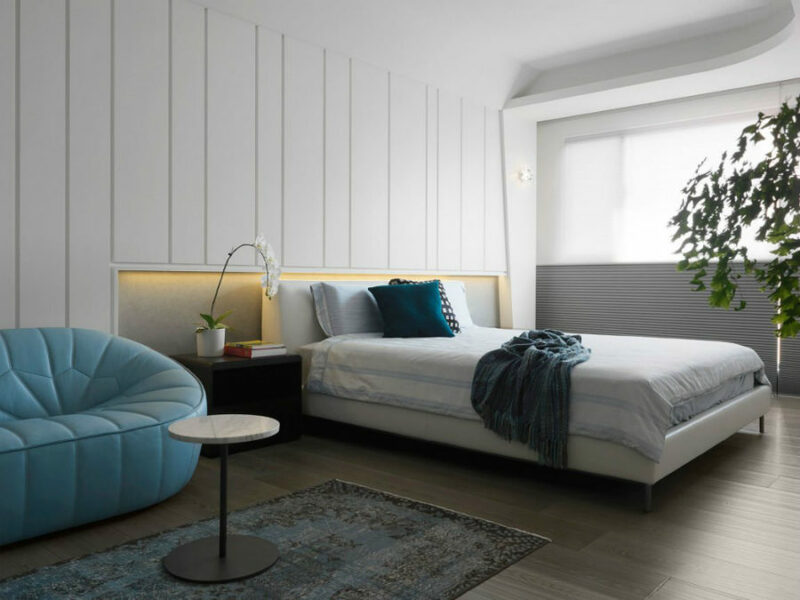 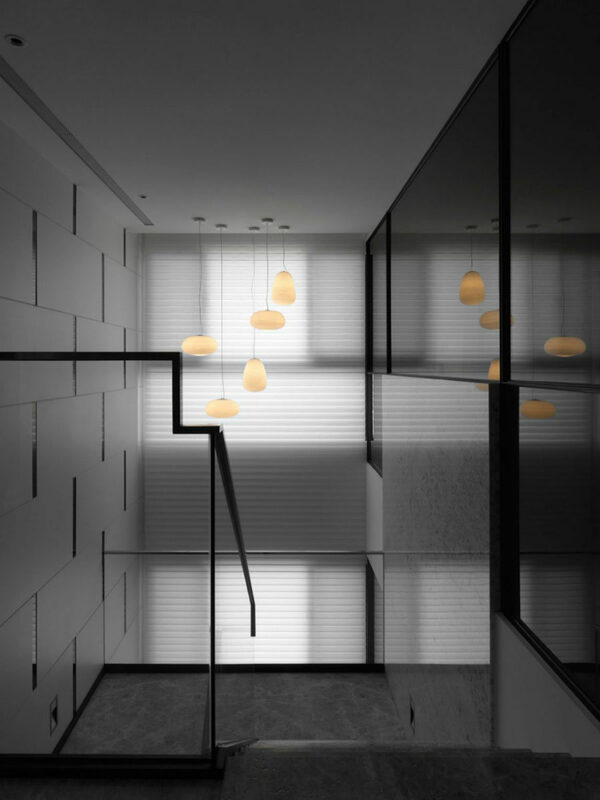 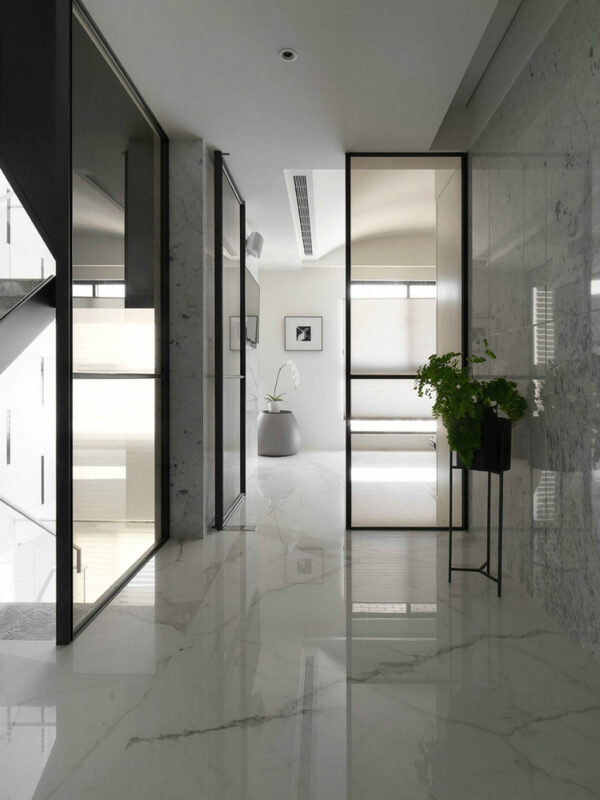 If you think that a contemporary apartment cannot look ultra luxe and rich, this Taiwanese apartment designed by Vattier Design will convince you otherwise. 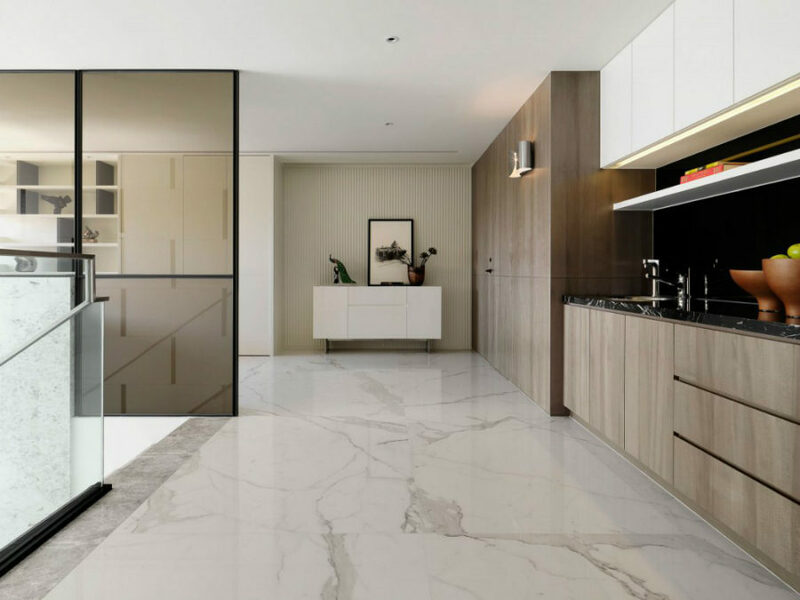 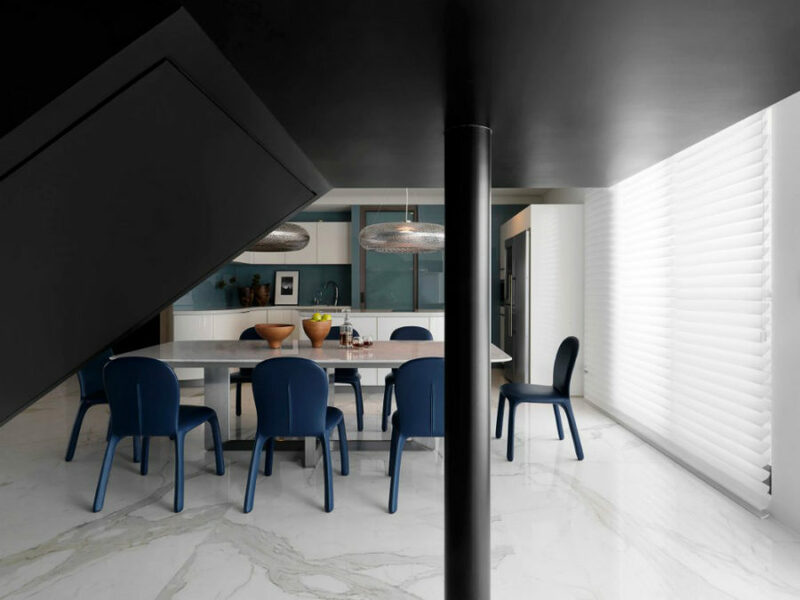 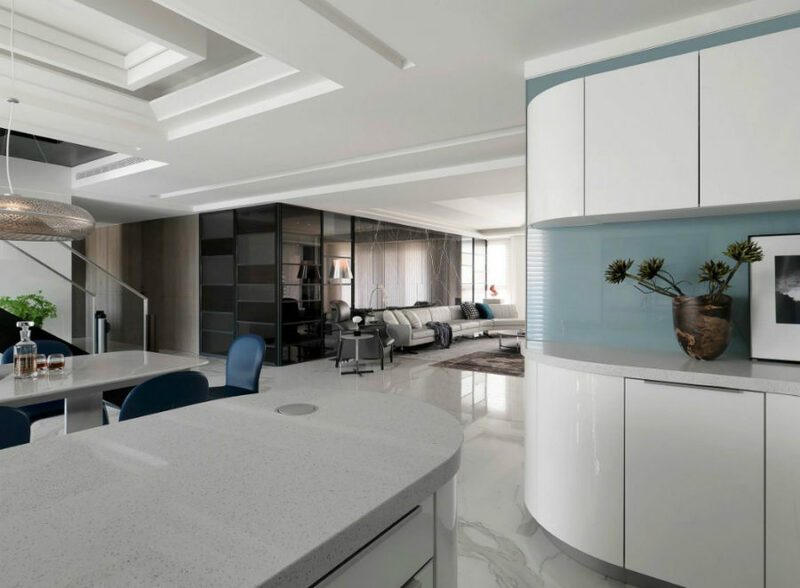 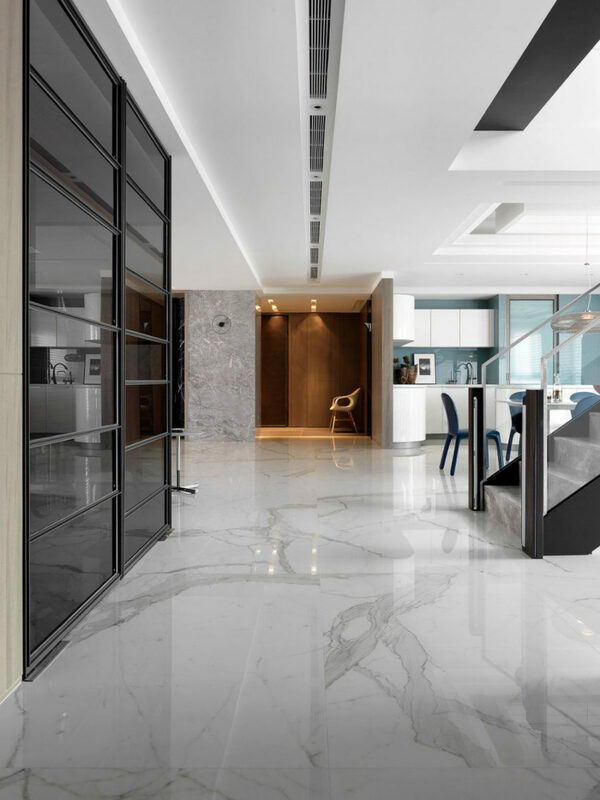 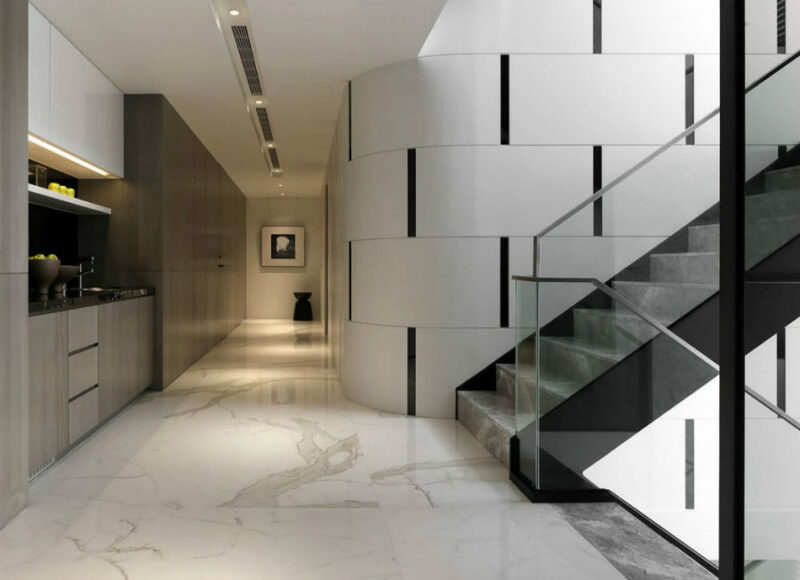 Almost entirely covered in marble and natural stone, the apartment comes with plenty of space and more than one storeys. 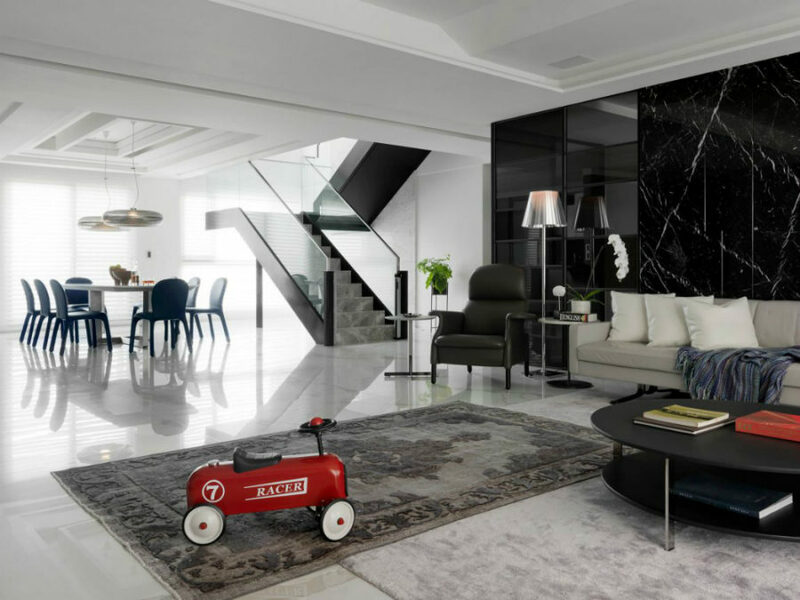 Like most modern homes, it features an open layout with spacious living room taking up most of the public area. 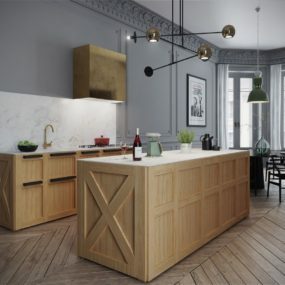 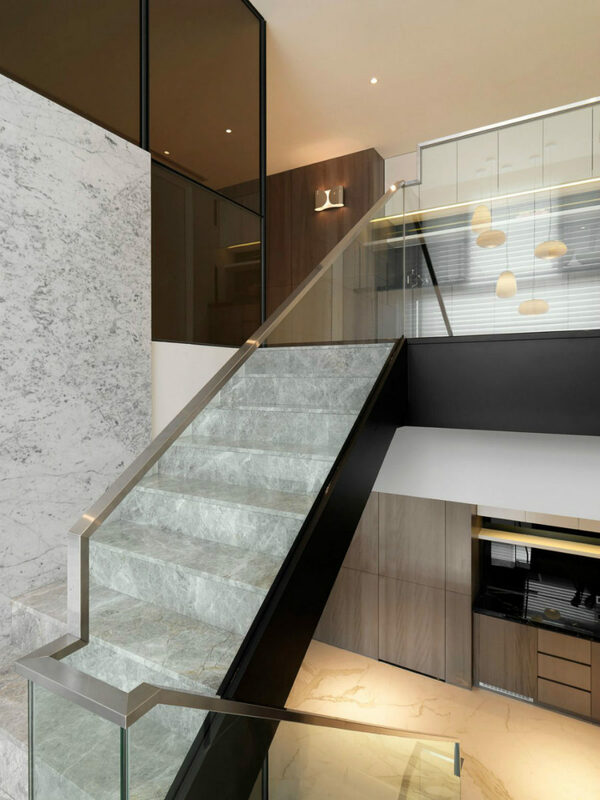 Small kitchen shares floor space with a dining area and a staircase, leading to more private quarters. 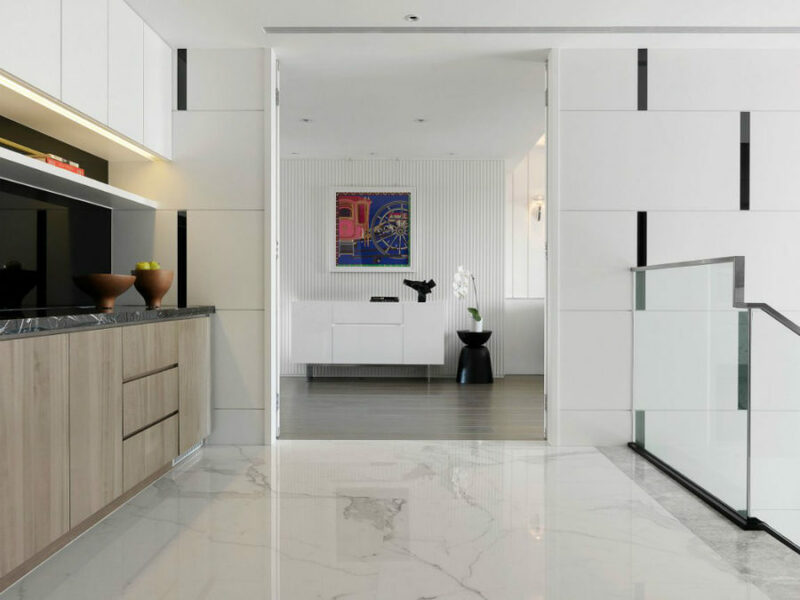 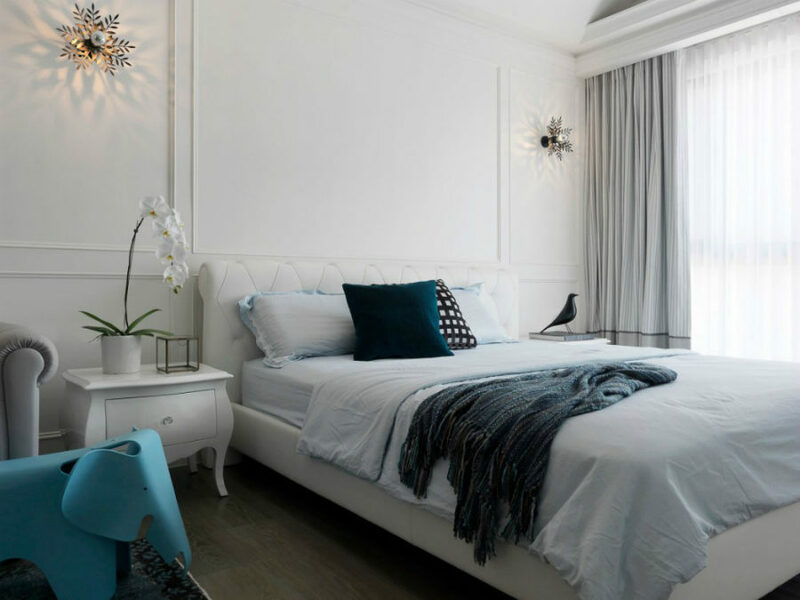 All rooms and transitional areas got a super luxe treatment with white marble except for bedrooms, where wood flooring makes for a cozier look. 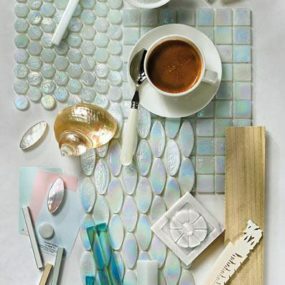 Some other architectural elements come in a porous material that matches the noble stone well. 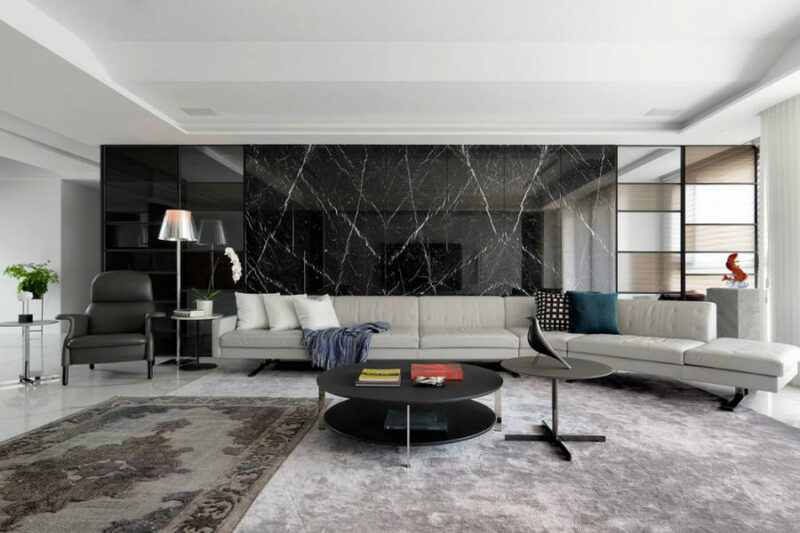 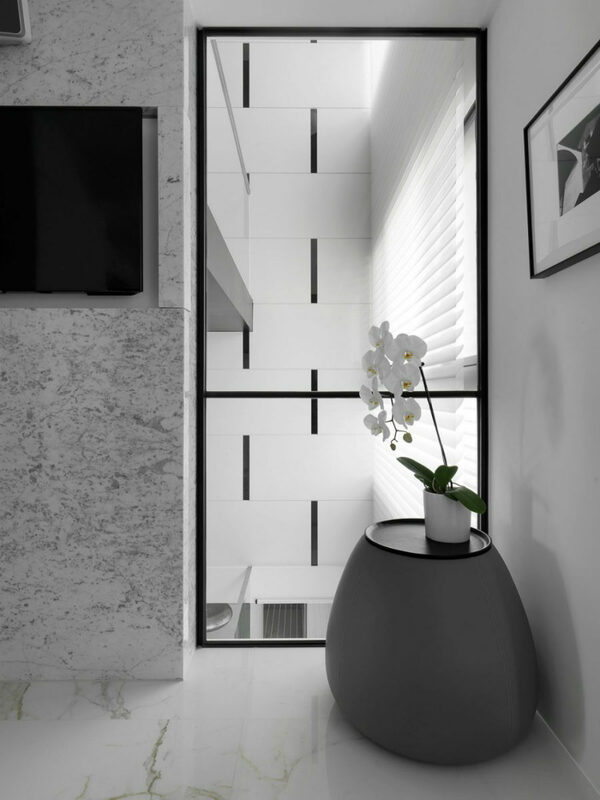 In the living room the feature wall reveals contrasting black marble framed with tinted and glass frames. 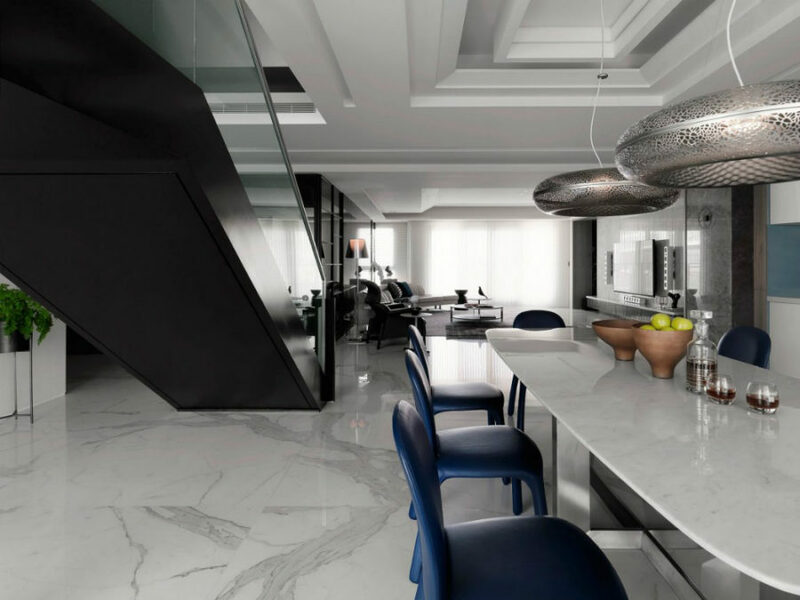 Kitchen, the smallest zone of the main area, is a highly functional space with futuristic glossy cabinets suited for the cool dining area. 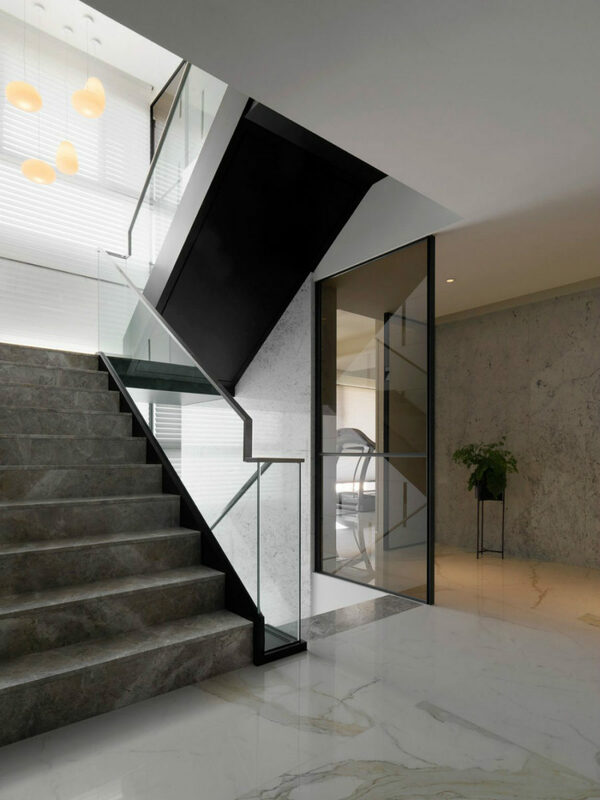 Up the stairs, there is a hallway filled with wooden storage closets. 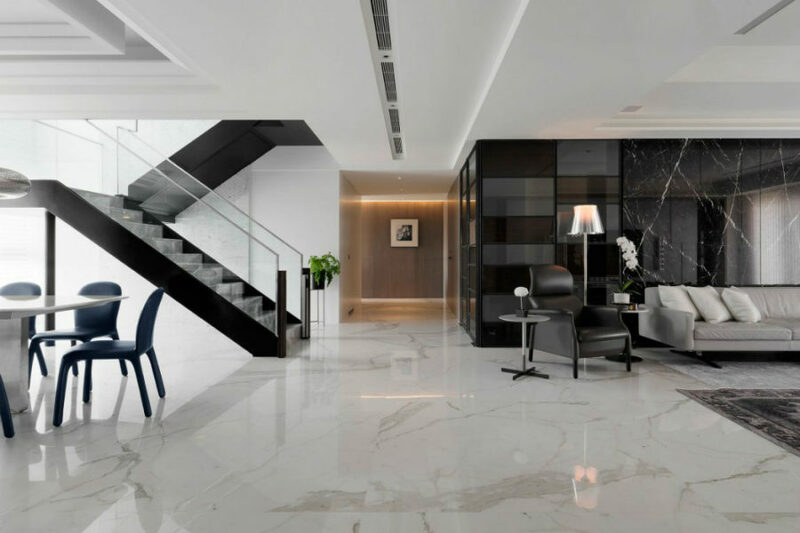 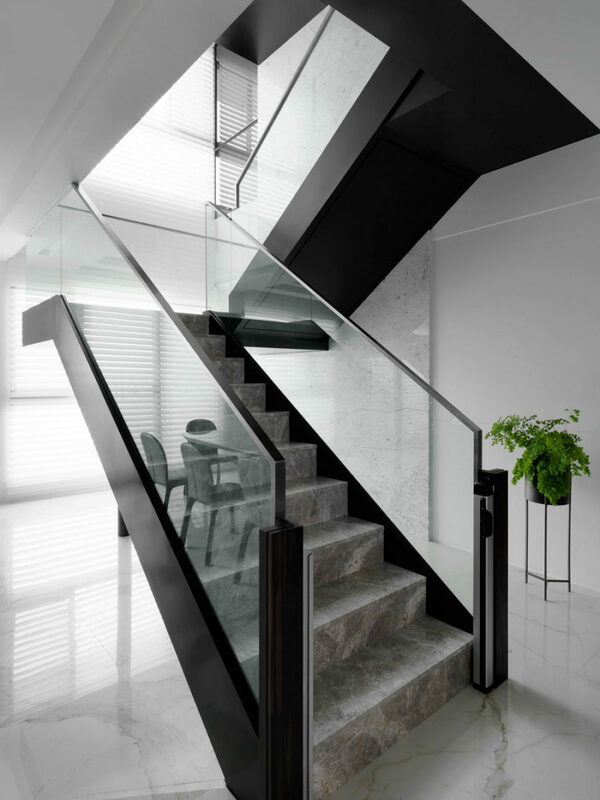 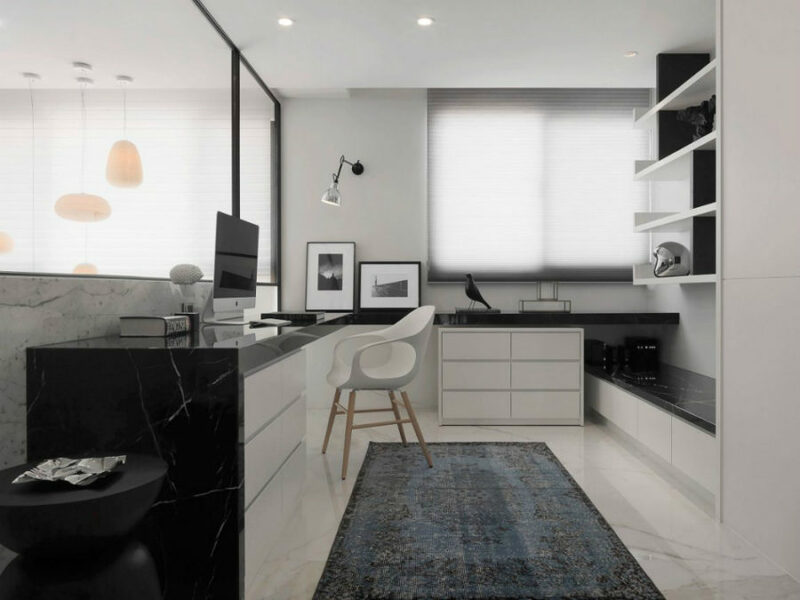 Even higher, a home office, overlooking the staircase, offers an atmosphere of style decked out in black and white marble. 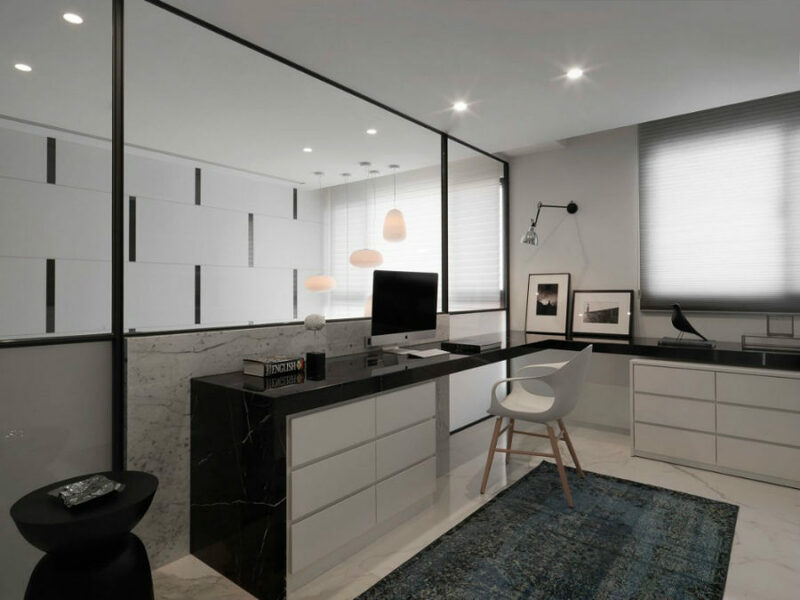 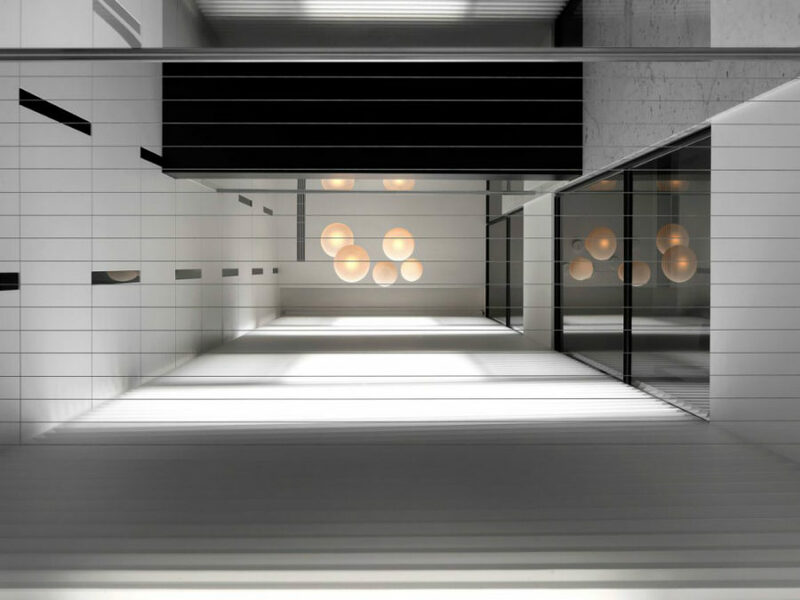 Two bedrooms differ in style and interior architecture. 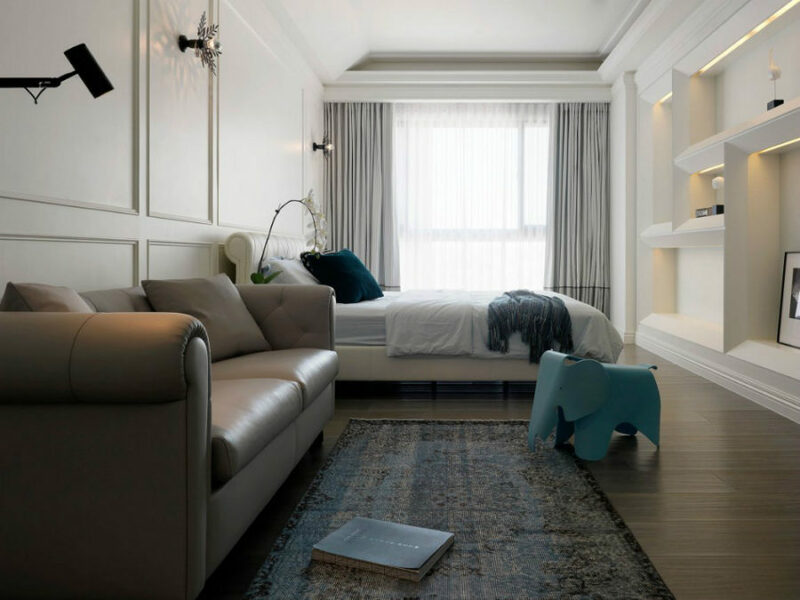 One is classic with its molded walls and sophisticated furnishings. 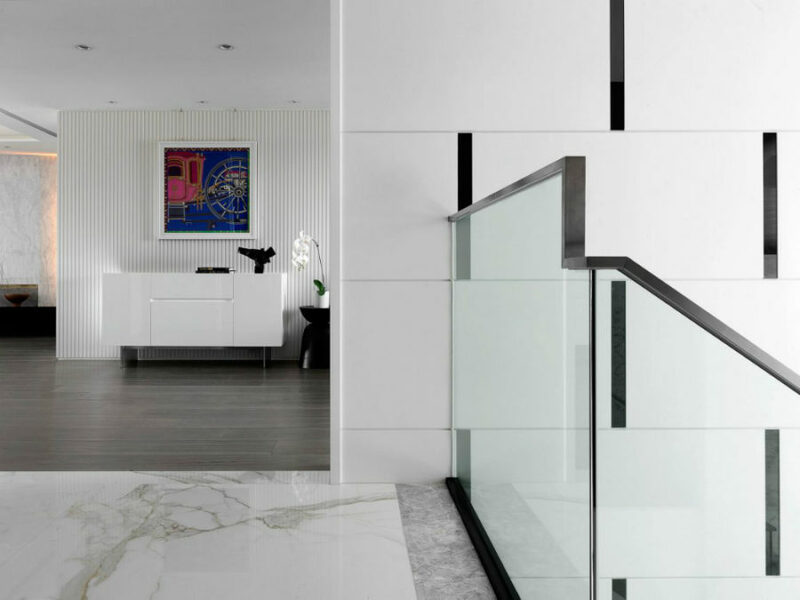 The other is sleek and contemporary, but boasts its own creative architectural elements. 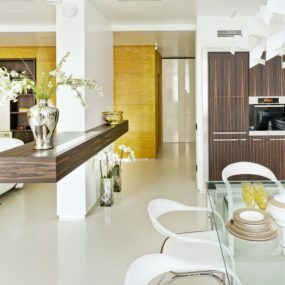 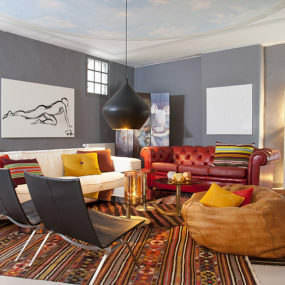 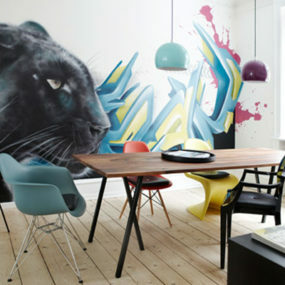 Interior Design Spring Trends Are Here!